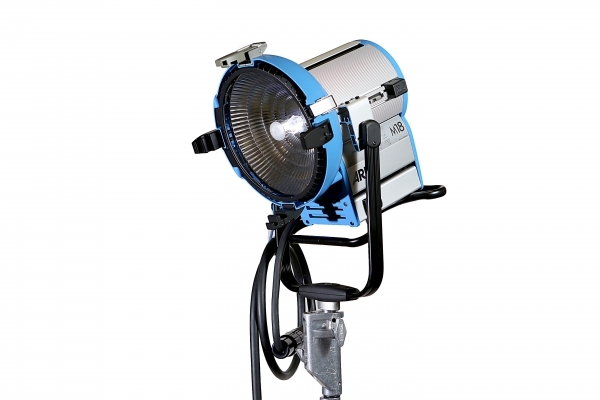 Now the "Brightest HMI you can plug into the wall," the ARRI M18 is a lensless, open face lighting fixture that combines the desired light distribution from the optics of a PAR and a Fresnel fixture. The unique ARRIMAX reflector design creates diverging rays to produce a crisp shadow. With a beam angle of 20 to 60 degrees and a wide usable field angle, the M18 is designed to be both intense and efficient. 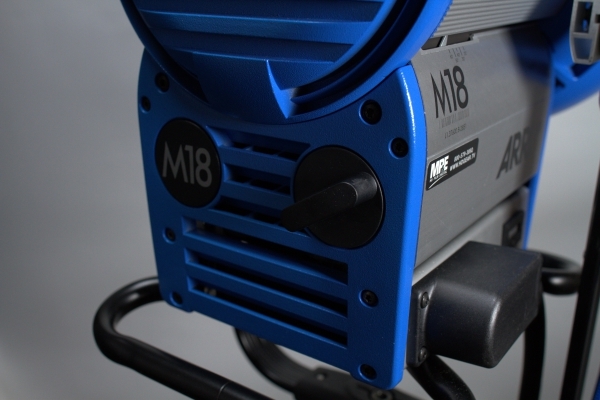 The ARRI M18 is 70% brighter than the ARRISUN 12 delivering about as much light as the ARRISUN 2500 PAR.